At the outset I feel obligated to provide a disclaimer for the reader; Ken Follett is one of my favorite authors of historical fiction that being said his latest novel, A COLUMN OF FIRE, which follows PILLARS OF THE EARTH, and WORLD WITHOUT END in his popular Kingsbridge series is the work of a master story teller. Set in 16th century Kingsbridge, England the novel travels through Hispaniola, Spain, France and Scotland as Follett integrates the political and religious strife of that period. At first it seems Follett has written a love story between Ned Willard who is returning from a year abroad tending to the family business in Calais, and Margery Fitzgerald, the daughter of the mayor of Kingsbridge. Their relationship comes to symbolize the religious divide that has overtaken England and the rest of Europe. Margery’s father is Reginald Fitzgerald and is an ardent Catholic, while the Willards lean towards Reformation. The conflict goes beyond religion as it carries over to a fierce commercial and political competition between the families. Margery’s parents refuse to allow her to marry Ned, and force her into a marriage for economic and social advancement. Follett immediately lays out the historical landscape facing England in 1558 in a conversation between Ned and his mother Alice, Reginald Fitzgerald and his son Rollo, the Earl of Swithin and Margery’s future husband Bart. The conversation is mediated by Sir William Cecil, the future Elizabeth I’s estate manager and Secretary of State under Henry VIII. After the death of Francis II, Cecil’s goal is to prevent violence since Mary Tudor was childless and arrange a peaceful transition for Elizabeth I. For Catholics like Rollo and his family, Elizabeth is illegitimate and they favored Mary Queen of Scots to assume the English throne. 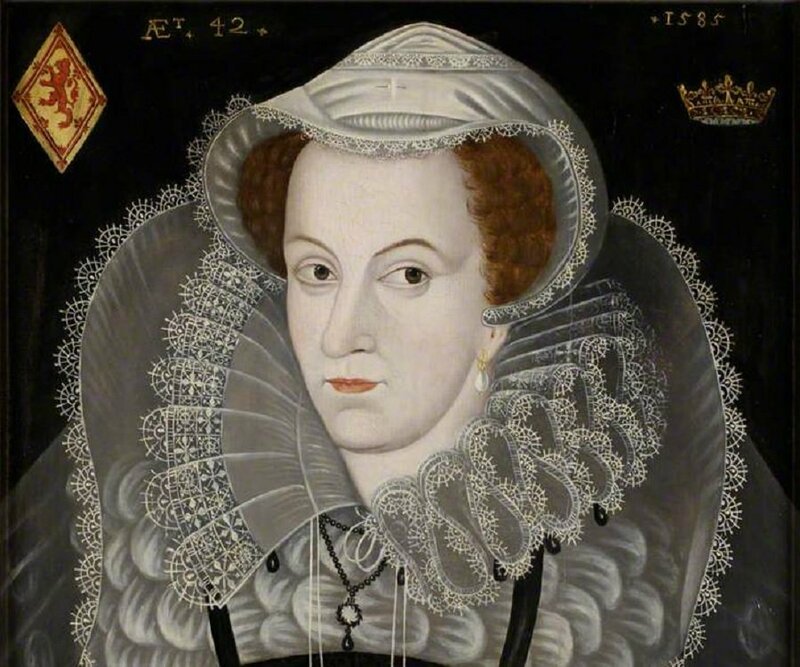 For the Fitzgerald family if Elizabeth I, who they strongly believed was Protestant assumed the throne she would undo all of Mary’s reforms, and they would lose a great deal of their wealth. From this brief description it is obvious Follett has written a novel full of deception, avarice, and the will to power as conspiracies abound that seem to involve almost every character. Follett introduces many historical characters as he seamlessly integrates them into his narrative. Mary Stuart, Mary Queen of Scots, Catherine de Medici, Henri III, Francis II, John Calvin, Sir William Cecil, Sir Francis Drake, Elizabeth I, Sir Francis Walsingham, Elizabeth’s spy master; James I who succeeded Elizabeth on the throne in 1603; King Philip II of Spain, and Guy Fawkes. He also creates a number of interesting fictional individuals. Aside from the Willards and Fitzgeralds, especially Rollo, Margery’s brother, Follett offers Pierre Arumande de Guise a dangerous schemer and social climber; Alison McKay, a childhood friend of Mary Stuart who becomes her aide; Sylvia Palot, a Protestant bookseller; and Barney Willard, Ned’s brother. 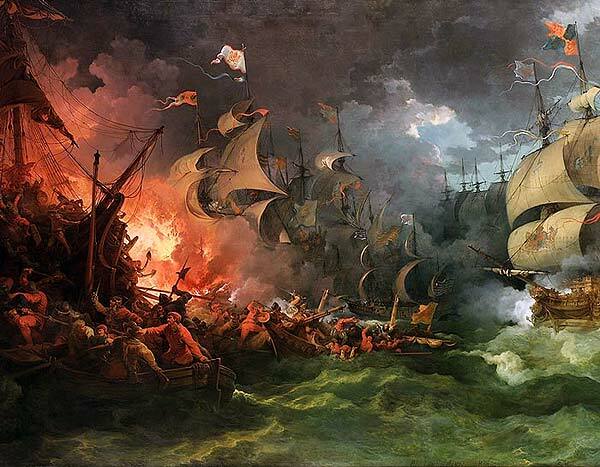 The novel seems to have a number of themes and stories that run parallel to each other whether they take place in England, France, Scotland, Spain, and Hispaniola. Follett’s talent as a writer and story teller are on full display as he arranges for Ned Willard and Pierre Arumande de Guise to meet and become rivals as the French component of the story collides with that of the English. The author has an excellent command of historical events and personalities and he effectively weaves his fictional characters in such a seamless manner that you actually believe they might be real. Further, Follett’s misogynistic dialogue is emblematic of the time period as are other dialects that are presented. 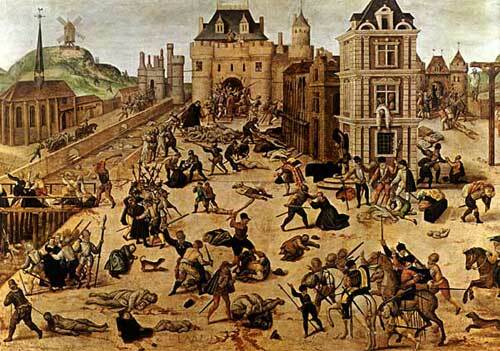 Many significant historical events are replicated in the book particularly the St. Bartholomew’s Day Massacre of 1572; the execution of Mary, Queen of Scots; the English defeat of the Spanish Armada in 1588; and the Gunpowder Plot of 1605. A COLUMN OF FIRE is an educational and enjoyable read as we follow the course of English and European history over a period of fifty years. Follett has so much material to work with and it is a joy to see the results of his voluminous research. The current novel is part of a trilogy but can be read independently as any allusions to the pre-1588 period are easily explained. Follett is a wonderful writer and if you choose to engage his current work it is sure to be entertaining.